It's becoming more and more apparent that small business marketing plans need to focus more on targeting busy moms as potential buyers of products and services. If you don't think so, consider these statistics, discussed in a recent Forbes article. Of all women having children under the age of 18, 70% of them are active members of the US workforce. Among all US households with children under 18, the mother is the sole or primary source of income in 40% of them. In the age group from 22 to 30, single women without children have an average annual salary greater then men of the same age throughout the largest cities in this country. With all this in mind, here are five tips on how to reach busy moms with a message that has a greater chance of making them interested in buying your goods or services. It's a good idea to gather as much information about the busy lifestyle of modern women as possible. Evaluate everything relevant to the delicate balance women must often achieve between their work at home and their work on a job. Knowing all this information will allow you to personalize your message and target working moms more effectively, rather than using tired, patronizing marketing campaigns of the past. Marketing research bears out that women are significantly more meticulous in their shopping habits than their male counterparts. As a general rule, women do much more research and shop around for comparison to a much greater extent than men will before buying. In your marketing campaigns, make sure to highlight all the benefits and features of your product or service, especially those which distinguish it from a competitor's product. Women are at least as active as men in the social media, and that means they see the social media marketing posted on their favorite sites, even if it is only subconsciously. Post your marketing message on the social media and let your passive sales pitch flood their thinking while they visit the site. 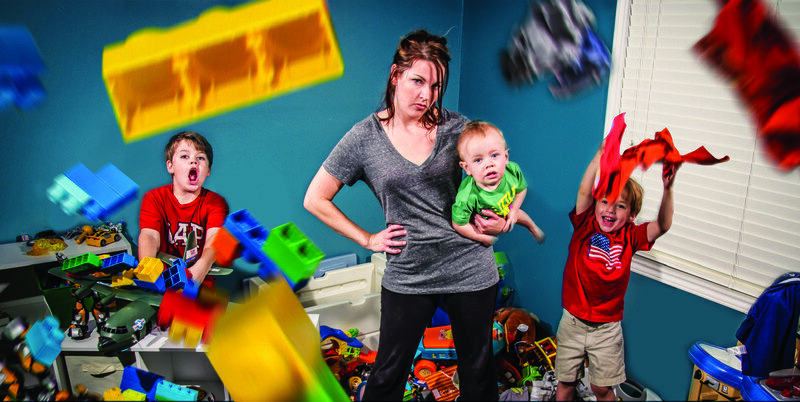 Marketing campaigns which aim at the traditional stay-at-home mom flustered by home-bound duties with several children are missing the mark today as often as not. Statistics show that women all over the world are now getting married later in life, and are also much better educated and qualified for high-paying jobs. These newer demographics should be taken into account and targeted in your marketing. Sometimes the best way to reach busy moms is not very obvious, and you really need the help of experts who have spent a great deal of time and effort trying to survey and understand the lifestyle. A company like VisionAmp Marketing has the experts, and we have used the most penetrating methods, including focus group testing and in-depth research, to gather marketing information of use to many companies just like yours.